If you’re looking to get more people to watch your Instagram Stories, you’re in the right place. With the help of location stories, you can increase the number of eyes that see your Stories, and reach people outside of your existing follower base. In this article, I’ll teach you how you can use Instagram location Stories, what they are, and how they can help boost your exposure and reach. Stories are only available to watch for 24 hours after they were shared. As a result, the watch-rate on Instagram Stories is high, sometimes even higher than your regular post. When 24 hours have passed, they will disappear. Before the Instagram story expires, the owner of the post can save it. Since Instagram Stories are only up for 24 hours, they allow people to be rawer and share less fine-tuned content that isn’t polished to perfection. People use Stories to show behind the scenes, what they do in a day and much more, and that type of content doesn’t have to be top notch. 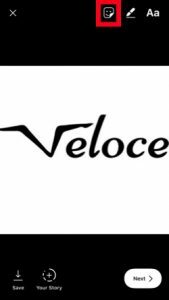 You can add photos as well as videos up to 15 seconds long. 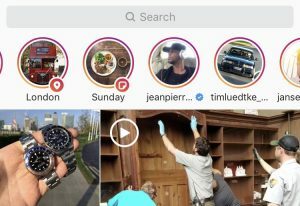 Instagram has added a ton of different tools and features for Instagram Stories, for example making it possible for you to add stickers, filters, use pencils, and of course, add a location – as well as much more. These tools allow you to be creative and stand out and appeal to the audience you are targeting. You can add a website link in your story that users can access by swiping up on the screen. The link was welcomed with love by everyone due to Instagram’s highly restricted possibilities to share links on the platform, thus opening up for business to use Stories as well. Note that it is only possible to add a link if you have more than 10K followers or a verified Instagram account. With Instagram Stories, you can share less qualitative content and still don’t have to worry about it harming the quality of your feed. You can watch a story by tapping the profile picture of an account if they have a rainbow-colored circle around it, indicating that they’ve shared a story. You will also see the Instagram stories of the people you follow at the very top of your feed. 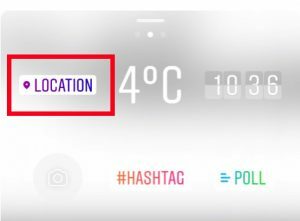 What are Instagram location Stories? Instagram location Stories are basically, as mentioned earlier, a sticker that you add to your Story. 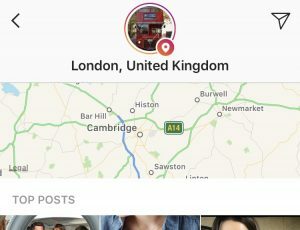 The so-called location sticker allows you to search for any location and select it – just like you do when sharing a regular post and adding a location to it. When you share an Instagram Story, in theory, there are only two ways for people to see your Story. First, the people who follow you will get your story at the top of your feed. Or, if someone comes across your profile and see that you have posted a Story, they can watch it. This is only possible if they are following you or if you have an open account. It’s not possible to watch someone’s story if they have their account set to private and you are not following them. But then, there are location stories and hashtag Stories. The same principle goes for both of these, only that it is a hashtag instead of a location. In this article, though, I’ll mainly focus on the location tag for Instagram Story. All hashtags and locations have a “Story circle” when you visit them. Let’s say that I am searching for the location “London”. At the top of that location, I will see a circle with a colored circle around it. This indicates that people have uploaded Stories with that particular location that I can watch. Note that not all Stories that include a location will get featured on the respective location check-in. Only selected Stories will, but normally, the competition isn’t that great, which makes it easy for you to get your story featured there – as long as you have relevant and high-quality content related to that location. The same goes for if you add a hashtag to your Story. Note that your post will necessarily not get featured all the time, so don’t believe that there is some bug of some sort. Also, if your account is private, your Story will have zero chance of ending up on hashtag or location stories. When you are at the top of the Explore page, you will see Stories from “recommended profiles” and also from the location you are at, and sometimes also other stickers that create a conversation. This means that if you get your Instagram Story featured on the location Story where you are at, a lot of the people who live or are there will see it, thus gaining your Story more exposure. Note that the location stories on your Explore page will only be available if you have your phone location settings turned on. Depending on how popular that location is, it might get more difficult to get your Story featured there. But where the labor is harder the reward is better, and if you succeed in getting featured there, you will see a huge upswing in exposure. If you would use a location that has a non-existing location story, you would almost get your Story featured there instantly. But on the other hand, very few people would see it. As you can expect, using both the hashtag and location to your Story will both increase your chances of getting featured, and if you get featured on both of them gain a ton of exposure. Locations are not only cities and towns. Locations are also venues, countries as a whole, and specific places – and you can choose to check in on any of them. Just expect that if you are trying to get featured on your country’s story, the competition will be a lot tougher compared to a small venue with few customers. The best part is what location Stories mean for businesses with a physical location that their customers check in to. They can check in and engage with the people who have shared a story at their venue. If someone has checked in using your location, you can approach them and thank them for trusting your business. If they said that something was bad, you can try to make things right by offering to solve the issue they faced or the problem that caused their “anger”. Adding a location to your story is super easy. 1. Open up Instagram Stories by swiping left from your home screen or tapping the camera icon in the top left corner. 2. Take a photo or record a video. 3. Once you’ve created your Story, tap on the sticker icon at the top right part of your screen. 4. Select the location sticker. 5. 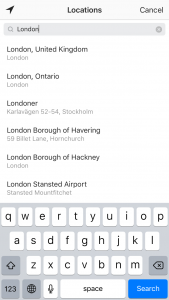 Search for the location you want to check in to and select it. 6. You can pinch the sticker to make it smaller or larger and move it around on the screen. Tap “post”. If you have a physical location for your business, using your own location in your Story is a great way to show people who you exist and to give them an insight into your business. Have you used Instagram Stories? Have you used location check-ins on Stories?